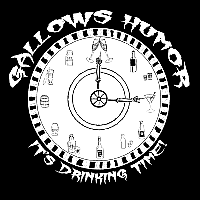 ← GALLOWS HUMOR is the reason for the season! Know this: YOUR EARHOLES AMS A MERE 15 MONIES FROM HEAVEN! We shall be on the Dancing Drum Tavern Stage all weekend. Be sure to drop on by (or fall on over) for at least one set, join us for a drink and toast the day! You should also make a point to visit all the Gypsies in Romale Strigoi because we are hitching up the wagons and bringing those fine folks along too! We tingle with anticipation to see you! This entry was posted in EVENTS!, Performances and tagged album, announcement, awesomesauce, Dancing Drum, drinking time, escondido, escondido ren faire, Escondido Renaissance Faire, Felicita Park, Romale Strigoi, Spookysauce, Tavern Stage. Bookmark the permalink.